Lying, bullying and other societal changes. I wonder if anyone else has given any thought to these traits recently. Unless one decides to willfully ignore the news or stay completely away from other humans, it’s something we seem to be dealing with on a daily or hourly basis. It’s pervasive. One wonders how to navigate traditional day-to-day situations in this new reality of me-first at all costs. Whether it is the unfolding realities of critical safety features on airplanes being “optional equipment” or the leader of the free world lying about where his father was born we are confronted with lies, greed and a host of other situations that really are affecting how we traverse day-to-day living. I can remember when lying, greed and other traits were behaviors we were taught to eschew lest we face serious consequences. Now, it seems like not only are there no more boundaries of decent behavior, but the more these offenses are committed in plain sight the fewer consequences anyone seems to face. Perhaps it’s our society as a whole that will ultimately pay for the consequences, while the individuals deciding to blast the norms seem to get away with more and more behaviors that heretofore were frowned upon. There is a difference between breaking a defined law and just lying or behaving in a manner inconsistent with established societal norms. Hopefully we know the difference between legal crimes and moral or ethical lapses. The bar for punishing criminal activity is, and should be, high. The bar for dealing with the assault on decent behavior is a little more fuzzy, and seems to be getting fuzzier. It isn’t illegal to lie about where one’s father was born. It may be creepy and beg the question of “what’s the point?” but it’s not against the law. It’s not illegal to cheat when playing golf, call people horrible names, and lie about polls or monetary/economic statistics. It’s not illegal to make cars and planes more expensive when you choose more options. It may become expensive if some of those options, or lack thereof, cause deaths; but businesses have a wide berth about how they operate. Willful negligence for the sake of greed is a difficult case to make in the eyes of the law. We’ve been inundated with behaviors that make most people who try to play by the rules of generally accepted behavior question why they bother. From the wealthy celebrity who buys college admission for their children, leaders here and abroad who bully their opponents and grab power haphazardly for their own selfish ends, to cheating at sports, to using those who are the most vulnerable among us as pawns in some temporary game, to companies who sell our private information for more profit, we are facing an unprecedented dent in the societal norms that allow us to grow and prosper. Jeanette Sekan is a columnist for the Cody Enterprise in Cody, Wyo. and a former resident of Ohio. 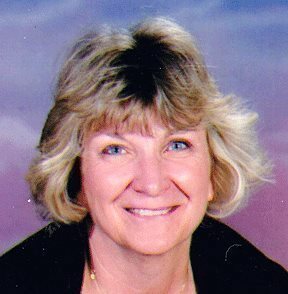 Jeanette’s columns are published in The Highland County Press, courtesy of the author and the Cody Enterprise. Matthew and Jim T. I agree. As the new wave of extreme left proposals keeps hitting the national media, we can only hope this ends like the car scene in the movie Thelma and Louise. I'm ok with the crash ending as long as it is not in our National Parks or does not hit a caravan of any religion on a sabbatical. Golly, every day brings a new "I want This" change in the US. Then I laugh and stare at the world map for a new country. Argentina's cattle country and wine country looks nice. As long as I still have internet access to The Highland County Press and my bank accounts. This comment has been hidden due to low approval. Crazy Bernie says "free healthcare for all." Really Bernie? Well, free at the time you use it. But you gotta pay more taxes to pay for the free healthcare. So, the trillions amount money has to filter through the vast bureaucracy of the federal government before it gets to the healthcare providers. That is really crazy... Now, this new Democrat Presidential candidate, Eric Swalwell, has a stupid idea: "We should ban possession of military-style semiautomatic weapons, we should buy back such weapons from all who choose to abide by the law, and we should criminally prosecute any who choose to defy it by keeping their weapons.... Keep your pistols, keep your long rifles, keep your shotguns. I want those most dangerous weapons, these weapons of war, out of the hands of the most dangerous people.” What if I had four different types of "weapons of war?" A semi-automatic pistol used by the U.S. military for the past 100 years. A rifle that was the first semiautomatic service rifle used by Americans in WWII and Korea. Both used to kill and injure millions of enemy combatants. And two more semiautomatic "military style" rifles used for the past 60 years in just about every armed conflict in the world. With these instruments of war in my hands I am a dangerous person (the USMC and other organizations have taught me to be extremely dangerous); Dangerous against tyranny and against people with evil intent. I am civil up to the point of where I'm not. That's my societal norm. And there is millions more like me. This comment has been hidden due to low approval. How about a societal norm of NOT investigating a hoax on a the President? How about a societal norm of paying for your own way in life? And not relying on government for your needs and wants. How about a societal norm of NOT interfering with citizens' rights? How about a societal norm of distinct national boundaries that no one should unlawfully cross? How about a societal norm of respecting the life of an unborn child? But no. The columnist, Ms. Sekan, is worried about President Trump's tweets. She can't even bring herself to write, "President Trump" in any of her columns. I find that odd. I think she's still hurting from Hillary's loss and can't admit that Trump is President. And there's many out there like her. Then there are many more that appreciate what the President is doing for this country, and we admit it. This comment has been hidden due to low approval. John T. - "...that the Cambridge police acted stupidly..." - President Obama. "You know, to just be grossly generalistic, you could put half of Trump’s supporters into what I call the basket of deplorables. Right? The racist, sexist, homophobic, xenophobic, Islamaphobic—you name it." - Hillary Clinton. These two leaders were insulting police officers and millions of citizens, not nationally known politicians. This comment has been hidden due to low approval. Do you mean it's uncivil for a national politician to follow through with his campaign promises? That's why voters like and respect President Trump. I've just been told about a family association of mine that happens to be Left-winged. Close relatives and friends are now worried about the mental health and the growing extremity of this person's views. I'm not trying to be funny. And there's a couple others in my family that happen to live in the Bay Area of California that are full of emotions and social media outbursts over the current adminstration. I am kind of apprehensive about what's going to happen in November 2020. What if the President is re-elected? This comment has been hidden due to low approval. The lack of civility starts at the top. An hour ago the person who is supposed to set the example for all Americans tweeted “ So weird to watch Crazy Bernie on FoxNews”. Unless leadership in this country stops calling fellow citizens crazy, low IQ, stupid, liars etc. etc. etc, because they disagree with him, nothing is going to change. This comment has been hidden due to low approval. The lack of civility is on the Left. I ran into a post on FB recently where it started off criticizing our President and quickly devolved into shots at the President, his wife and his family. What happened to FB's censorship of "hate speech"? I guess that is only one sided. I can't have civil conversations with my walk about Democrat friends because they have all been conditioned to call me a racist or some other epithet when I say anything. This comment has been hidden due to low approval. As a society of believers we have become so complacent that we have not and do not use our voices. What happened to it taking a community to raise a child? Now we fear to verbally correct anyone for fear of retaliation. What happened to brotherly love? Now we barely love ourselves. These are patterns that need to be changed. Communities caring about one another, whether someone is hurting physically or financially or if they just need someone to talk to or someone to listen. Pray for and love those that persecute us. Leave the judging to the Father of Above. Just my thoughts. Love to all This comment has been hidden due to low approval. Rory, another article on civility, lol. She has finally taken the gloves (mask) off. The Clintons were noted in print recently of going on a civility tour and yet I'm deplorable, lol. •••Editor's note: Not in my book. This comment has been hidden due to low approval.